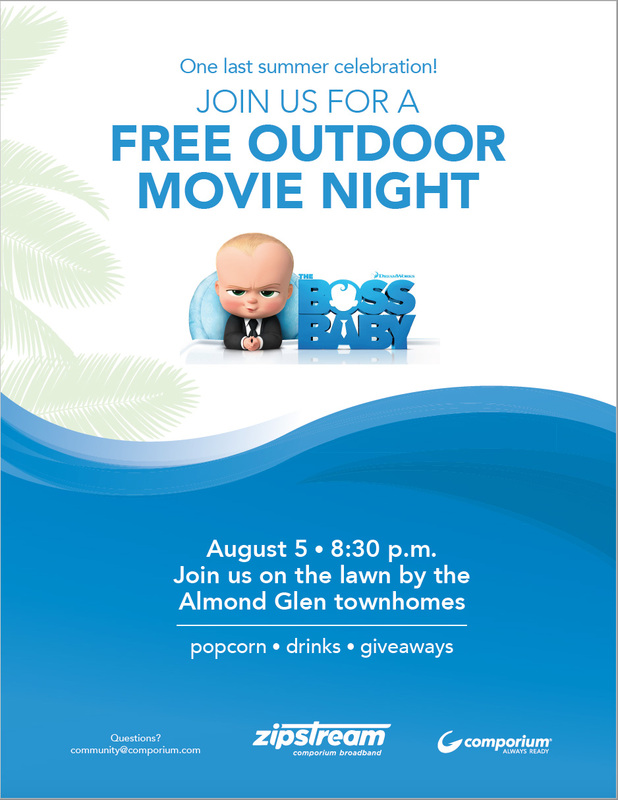 Comporium has graciously offered to sponsor a movie night for Almond Glen on Saturday, August 5th, 2017 at 8:30pm. This event is scheduled to take place in the large grassy area at the front of the neighborhood by the entrance to the townhomes. Please join us for an evening of community and family time. Popcorn, Drinks, Giveaways and the Movie are being provided by Comporium at no cost to the HOA.